"Loved . . . the bookit's on my nightstand!" "What a wonderful way to get into a macro trader's mind! I am so glad that this book exists." "We learn from these interviews of successful global macro investors that they share a style of thinking: they consider a strikingly broad list of factors influencing markets, they are exquisitely alert to nuances of timing and place in history, and, perhaps most fundamentally, they seem to be thinking along broadly inductive rather than deductive lines." "The ruminations of supposedly hush-hush hedge fund operators are richly illuminating." "Useful for anyone who has entrusted their money to funds operating in the sector." 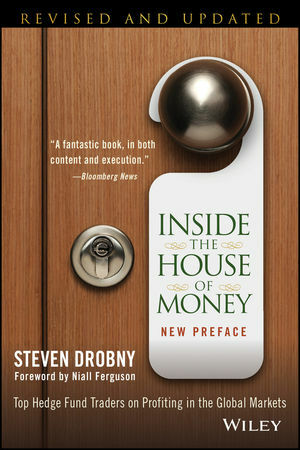 "Steven Drobny has been able to do something that few others have, especially in the media: he got hedge fund managers to share their trade secrets." "Couldn't come at a more appropriate time . . . sheds more light than ever on the minds behind the largest global macro funds . . . reveals the intricacies of thinking like a hedge fund manager."